You are here: Home / Latest Merry Maids News / News / Merry Maids of Dudley go Stateside! Merry Maids of Dudley go Stateside! Franchisee of the Year is the most prestigious award and a pinnacle of achievement within the ServiceMaster franchisee network. 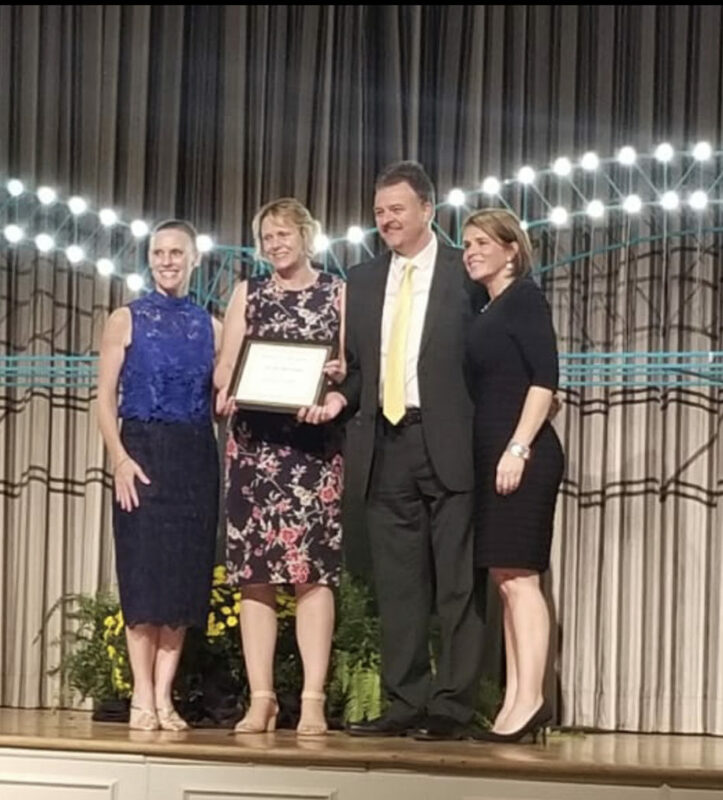 It is awarded to one franchisee who has displayed the highest achievement in the pursuit of excellence and professional management in the ServiceMaster tradition. Tom & Julie Jackson proud owners of Merry Maids of Dudley, Solihull, Birmingham South and Wolverhampton scooped the award for their fantastic efforts in 2016. The award resulted in an all-expenses paid trip to the Merry Maids International Convention in America to meet and work with other Merry Maids businesses around the world. We departed Heathrow on Sunday 14th October flying to New York for 5 nights to do some sightseeing. We visited the One World Centre, Central Park, Empire State Building, Brooklyn Bridge, Liberty Island and the Statue of Liberty. We also managed to squeeze in an ice hockey game at Maddison Square Garden. After that we flew over to Buffalo and then onto Niagra for 3 nights to take in the bracing air of a very cold Niagra Falls (Both the Canadian side and the American side of the fall) and did the Maid in the Mist and Hornblower boat rides. Just to prove it is a very small world, as we were checking out of our hotel I met my cousin that I had not seen for over 30 years! As a Yorkshire-Man I like to talk so while checking out we got to chatting and found that not only did she know England, that she knew Yorkshire and the village my Dad’s family came from and then guessed what my mum was called! We even had the Americans in the queue listening in and said ‘it was wonderful’. After Niagra, it was a flight over to Memphis and a much warmer 20 degrees. Much better than freezing Niagra! 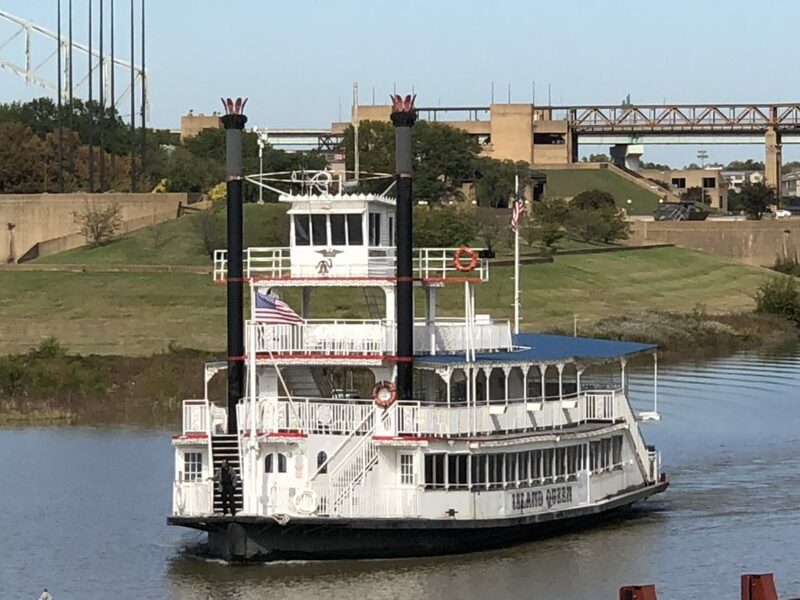 A day sightseeing and a paddleboat ride on the Missippi, then onto the start of the Merry Maids conference activities with a morning meeting with Donna the international Sales Director and the delegates from Duskin (Merry Maids Japan). 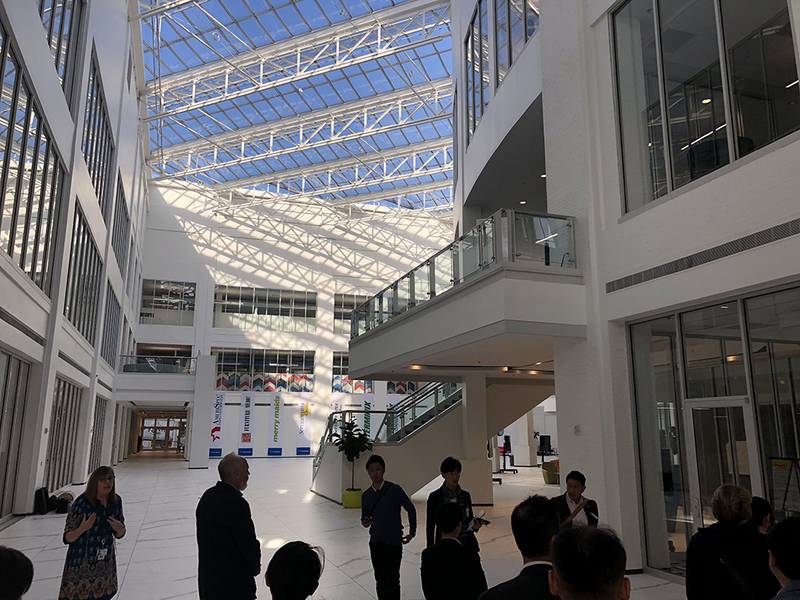 We enjoyed a tour of the grand ‘Home office’ Building, which is MASSIVE as it’s an ex shopping mall. After that it was down to the True Conference. We were recognised on the stage on the first morning along with others for the long service award (15-year award). We then went on to the ‘break out’ sessions where it was interesting to see how things are done over here and what we could potentially take back to the UK. On Thursday night we were invited out to two regional dinners (the region organises their own get together on this evening). We attended the Dinner for the Central region at the Bass Pro Pyramid. Friday daytime included more long service awards and then further break-out sessions, before finishing early so that delegates could get ready for the Gala dinner on Friday evening. Friday evening was meeting in the foyer of Home Office before walking over to the Gala Reception at the Peabody Hotel. During the awards ceremony we were called up onto the stage and presented with a plaque for the Dallen Peterson Founders Award ofExcellence. We even got to Meet Dallen Peterson who was there as a surprise guest! Tom and Julie have been franchisees of Merry Maids since 2003 and in that time have built a very successful domestic cleaning business covering four territories including Dudley, Solihull, South Birmingham and Wolverhampton. This is the second time that they have won the Dallen Peterson award, the first being in 2011 and their latest efforts in 2016 may not be the last! Here’s hoping for a third time lucky! https://merrymaidsfranchise.co.uk/wp-content/uploads/2019/01/IMG_0380.jpg 1244 1125 Emma Nicholson https://merrymaidsfranchise.co.uk/wp-content/uploads/2014/10/merrymaids_franchise_logo_330x100.png Emma Nicholson2019-01-28 15:28:092019-01-28 15:28:39Merry Maids of Dudley go Stateside!